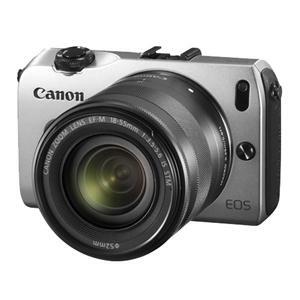 The new Canon EOS M is Canon's highly anticipated entrance into the Compact System Camera market. The range consists of 4 stylish colours (black, silver, red and white) and lens options include an 18-55mm or a 22m lens with an adapter. Compact System Cameras have the quality of a Digital SLR camera in a small and compact body hence Canon labelling the range "Small and simple". The camera features an 18MP APS-C CMOS sensor, Intelligent auto shoot programs, a nice big touch screen together with interchangeable lenses and accessories from the EOS system. The EOS M also shoots full HD video's. Prices start from just £769 for an option that comes with 18-55mm lens and pre-orders from Jessops will get you 20% off a compatible battery pack. Pre-order the Canon EOS M now.